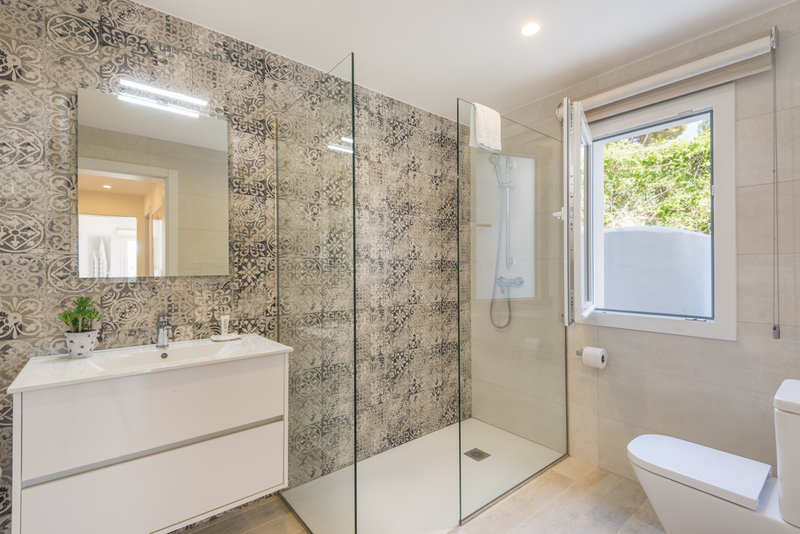 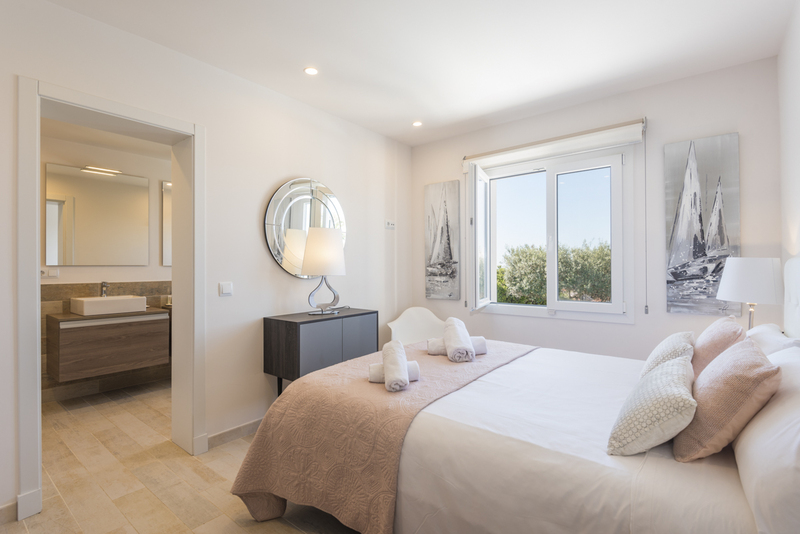 This wonderful modern, recently furbished villa, ideally located within the popular resort of Son Bou and within walking distance to the lovely local sandy beach. 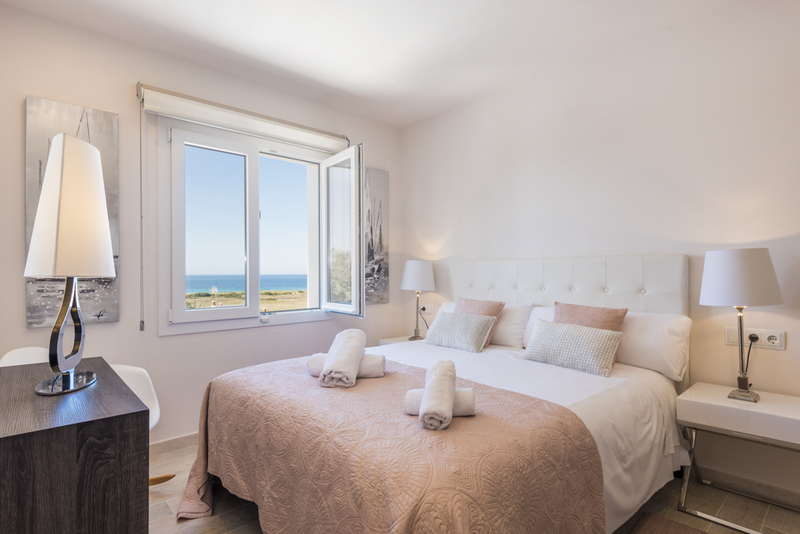 With stunning sea views, five beautifully presented bedrooms, chill out area and a fabulous private pool, it’s a perfect choice for a large family or a group of friends looking for comfort, relaxation and convenience. 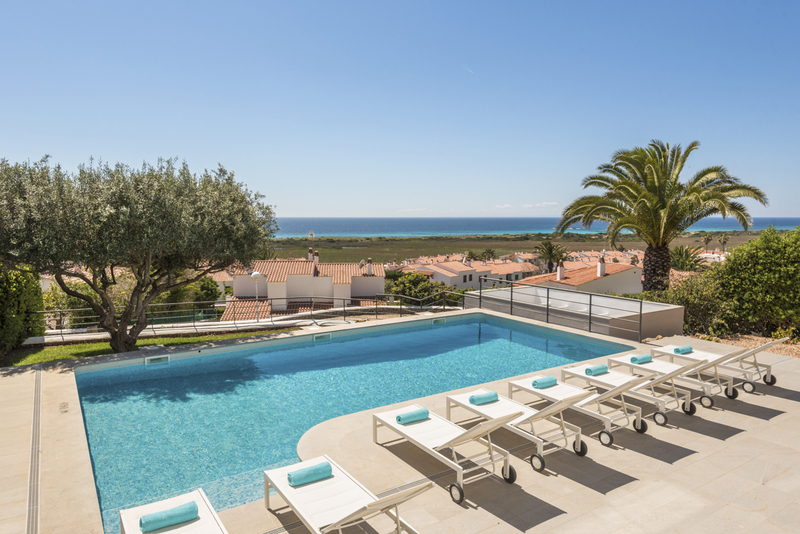 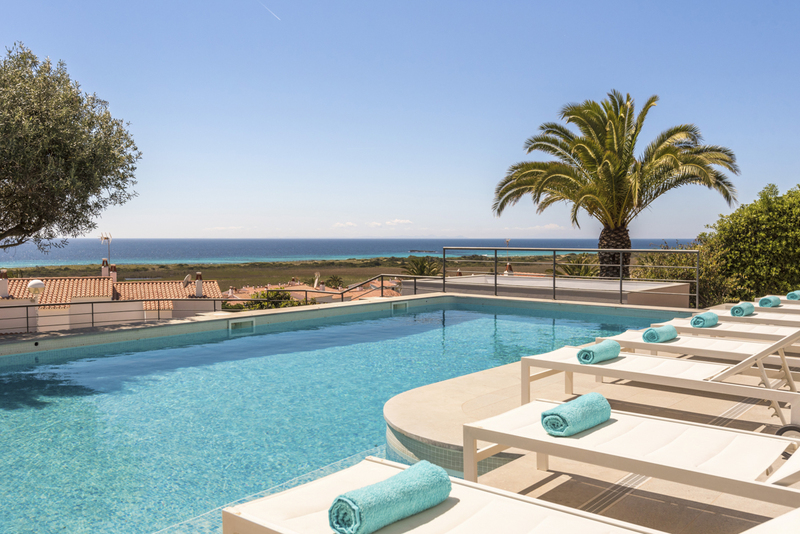 Casa Del Sol is the perfect holiday property with modern design, picture of sleek taking full advantage of its outstanding coastal location. 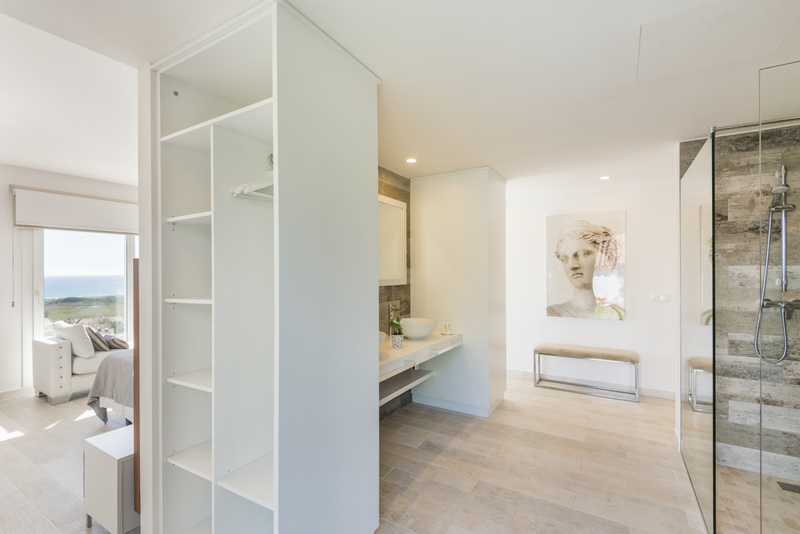 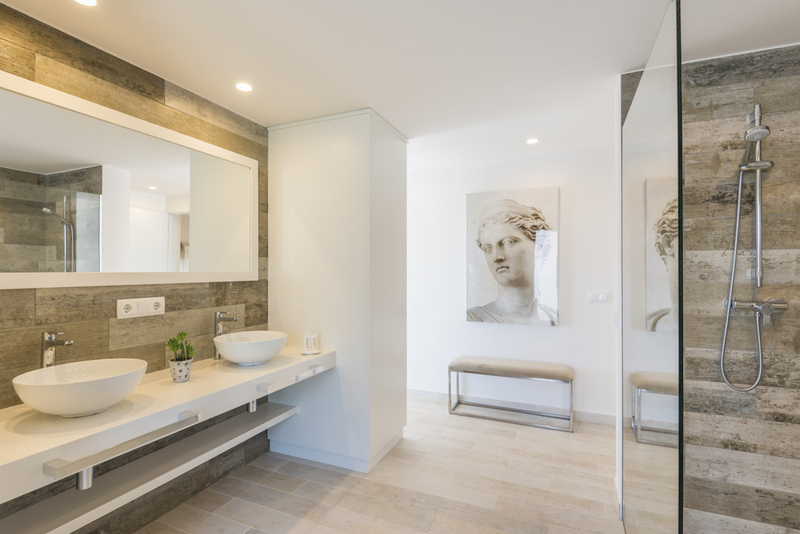 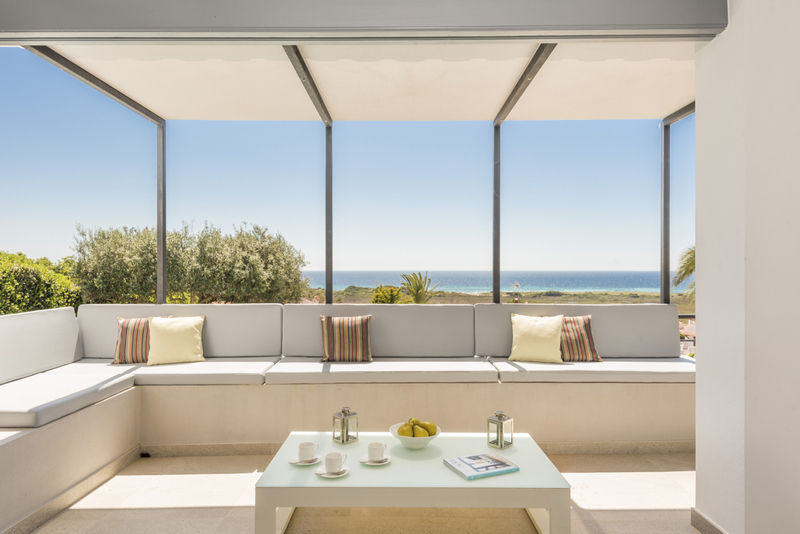 Providing every modern comfort with meticulous attention to detail, this superb property is perfect for any occasion. 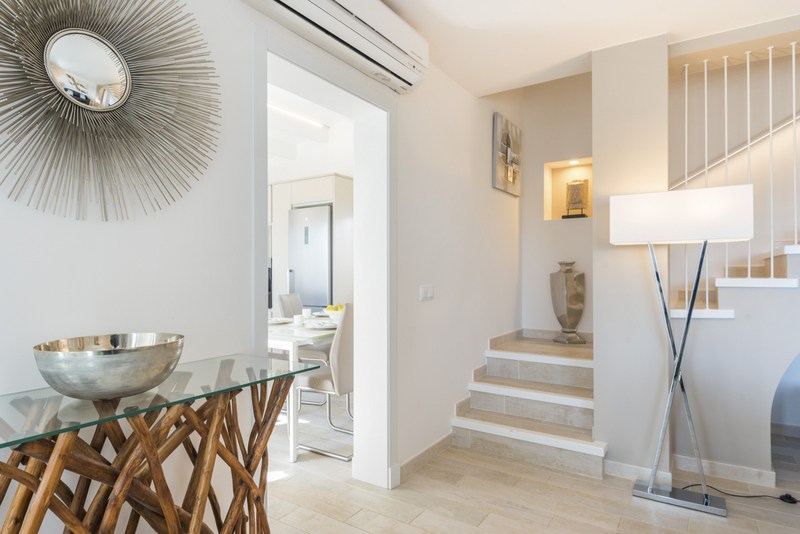 The villas south facing location not only offers superb sea views but also floods the interior with wonderful natural light. 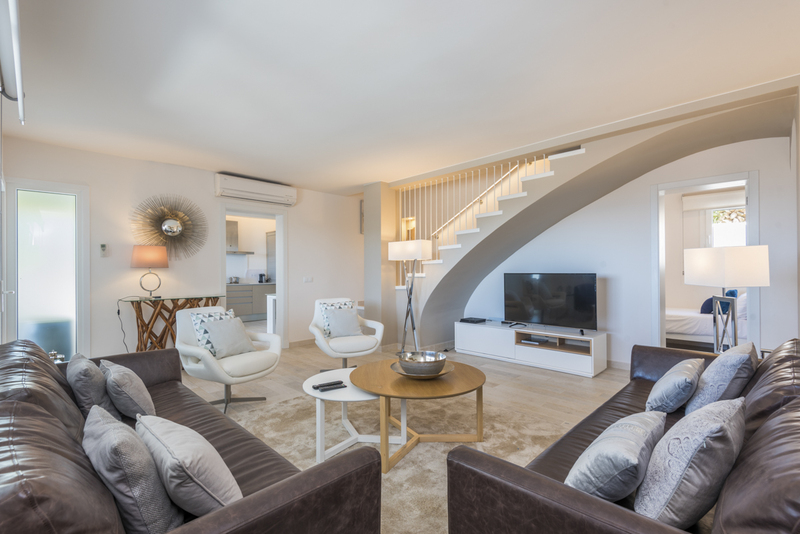 With a relaxing lounge, guests can sink into soft leather sofas and catch up on the latest movies or challenge each other on the Games Console. 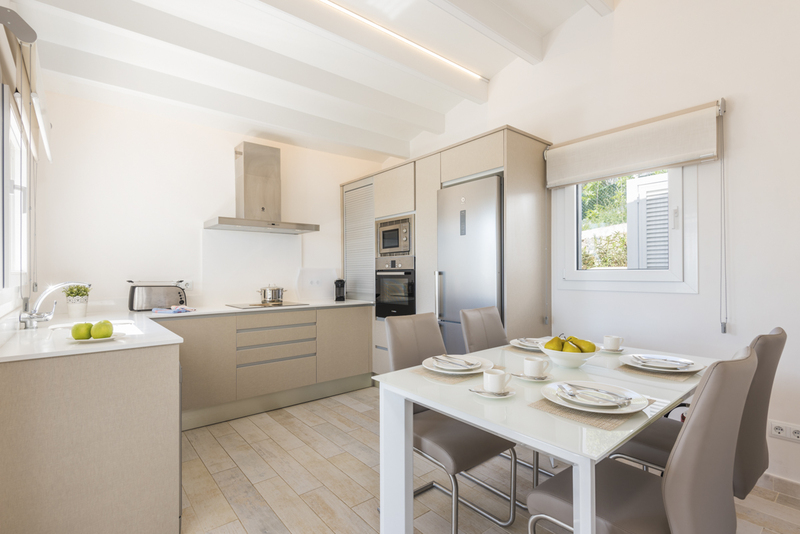 In the gleaming wooden style modern kitchen, you’ll find all the mod cons you need to indulge your cuisine creativity, ideal if you’re a keen chef eager to share some culinary skills with friends and family while on holiday. 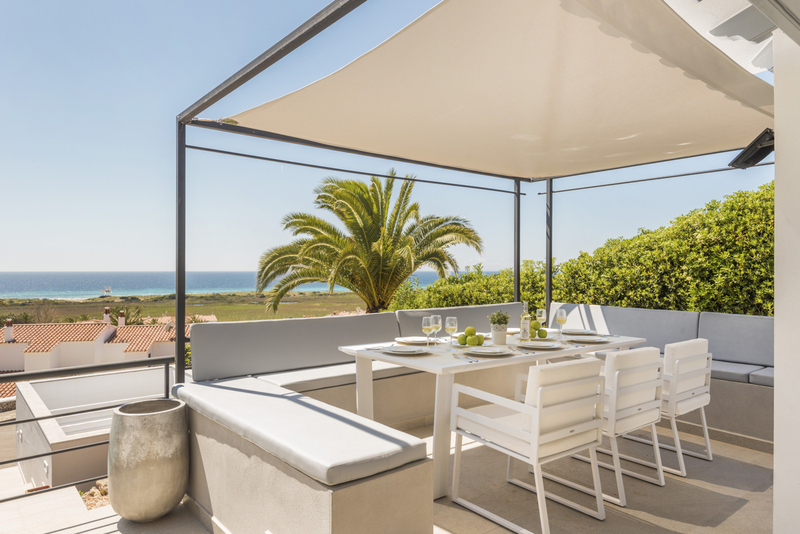 Alternatively, if an ice cold beer and a few steaks on the barbecue is more your style of cuisine, then the BBQ outside on the terrace is another option. 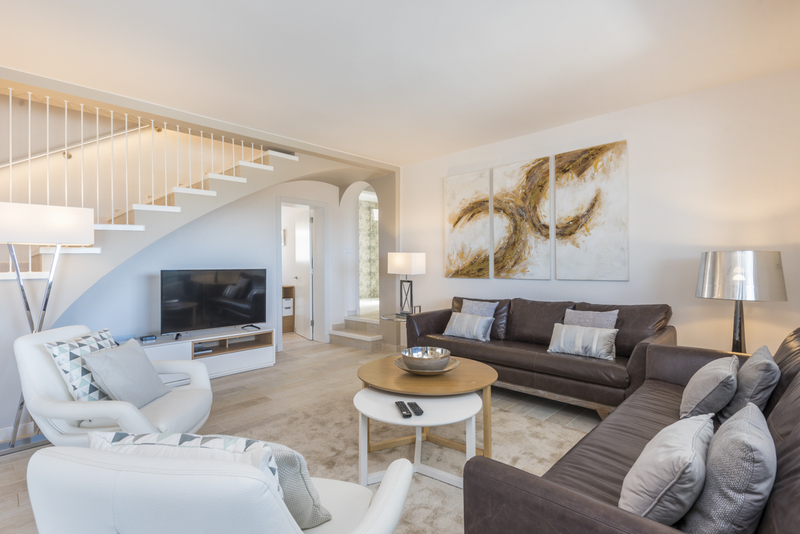 Five double bedrooms and four bathrooms spread over two floors all with unique contemporary furnishings and well-appointed to the highest specification. 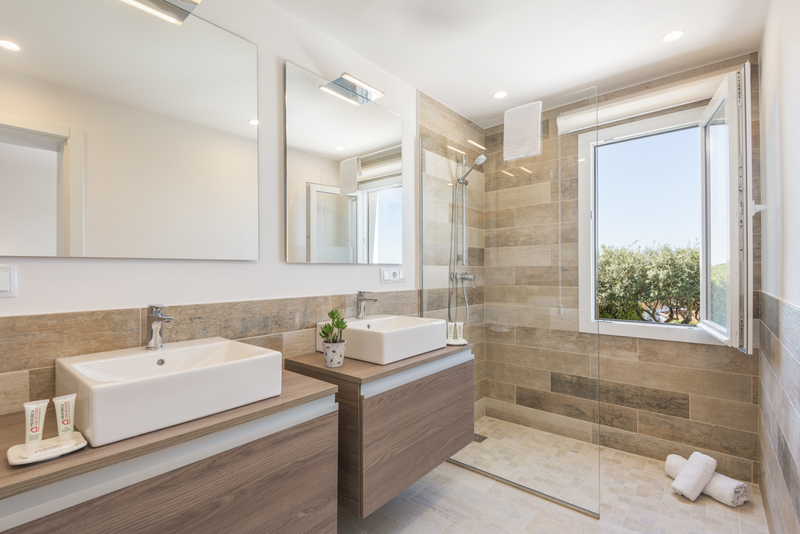 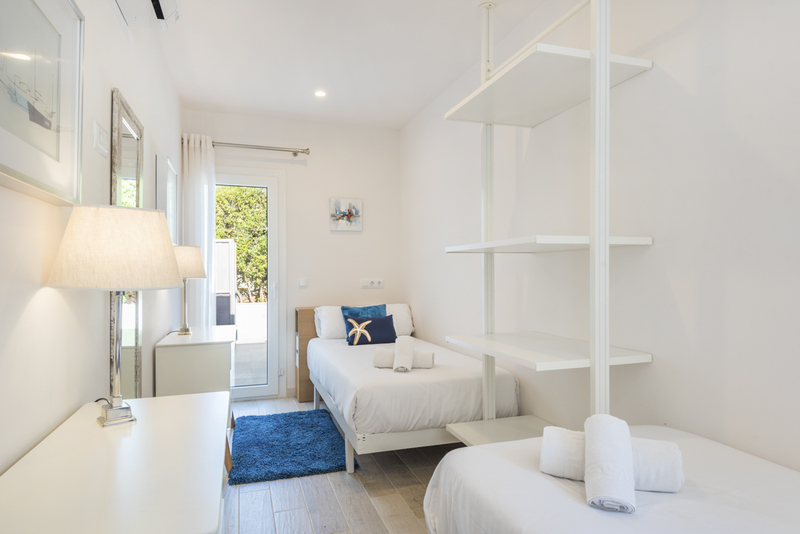 The ground level has a double bedroom with en-suite shower room, and also there are another two double bedrooms with single beds, plus an independent shower room. 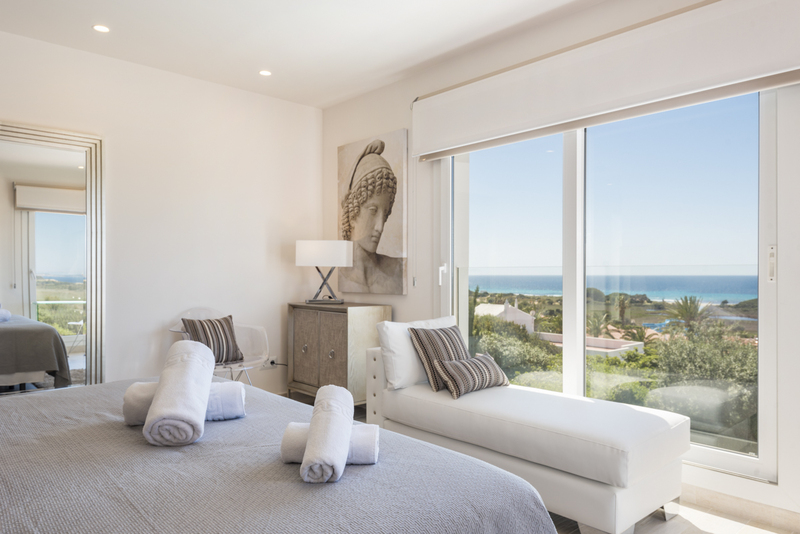 On the first floor, the stunning master bedroom, with queen size double bed, chaise longue sofa, TV and incredible views of the coast. 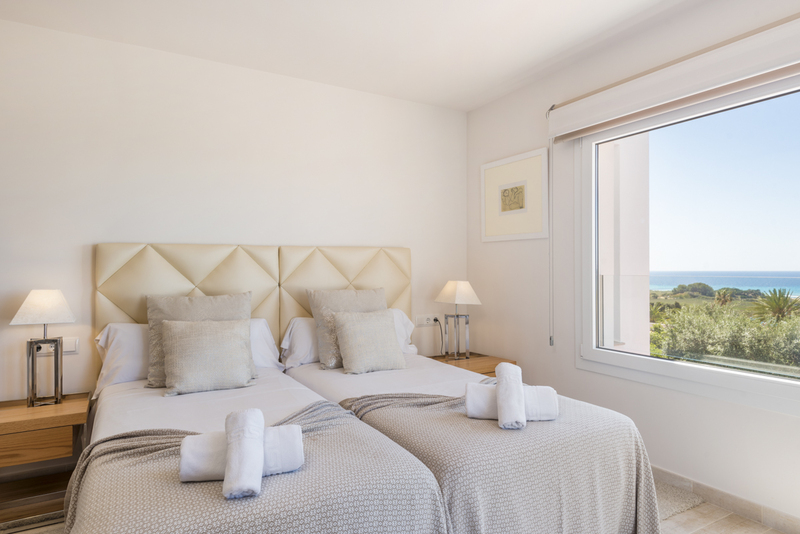 Also on the first floor a twin bedroom with en-suite shower room and access to a private terrace with sea views. 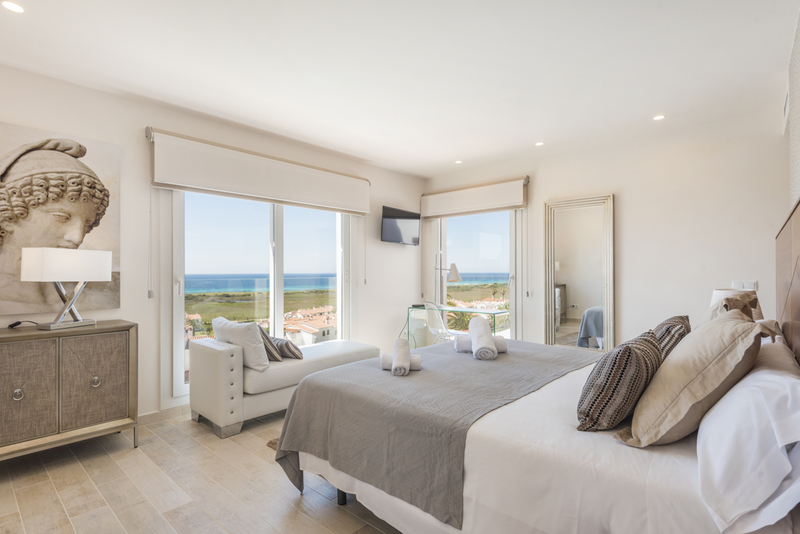 The long, golden beach at Son Bou is famed for its lovely sand dunes and clear, shallow water and it’s easily accessible by foot from Casa Del Sol. 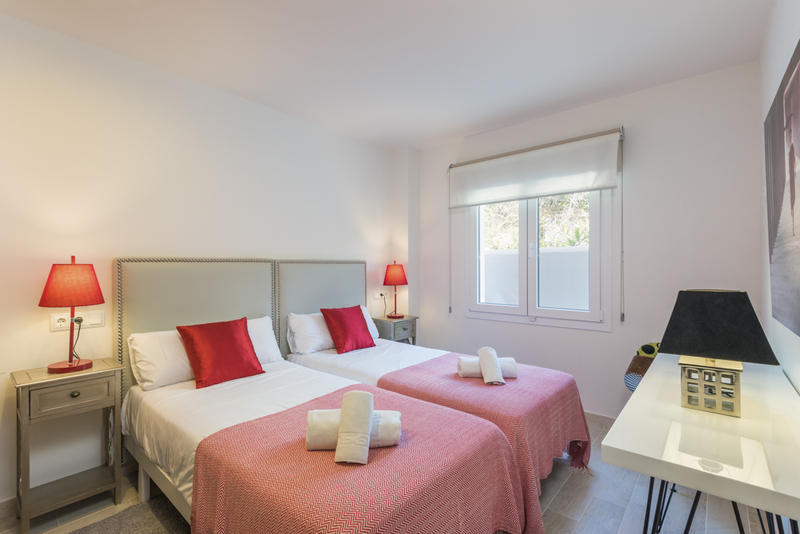 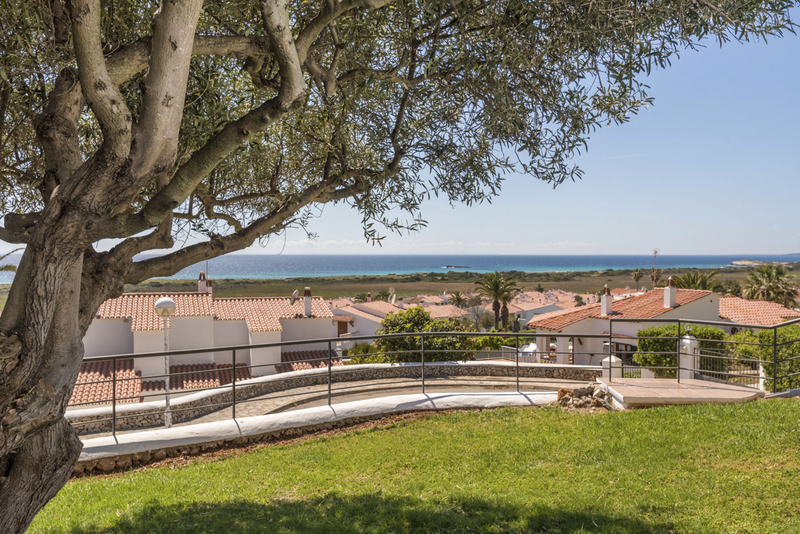 It’s also just a short walk down into Son Bou where you’ll find a variety of restaurants, bars, shops, tennis courts, a bowling alley and a children’s play area. 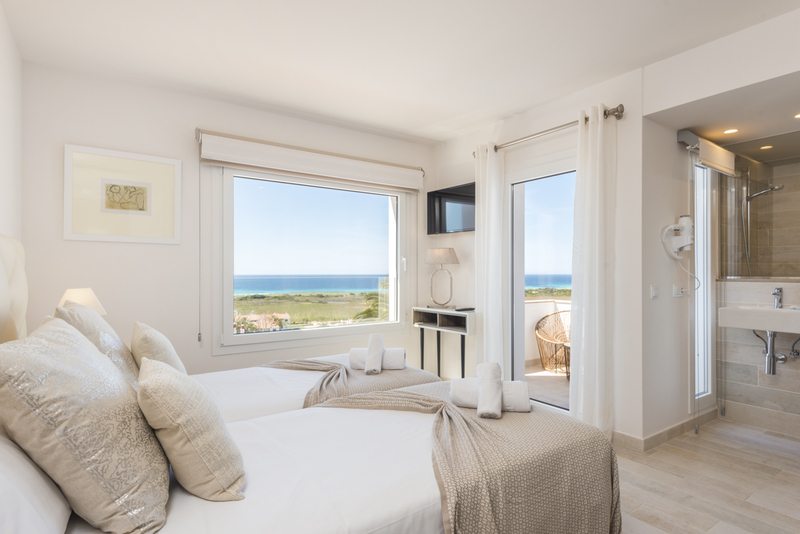 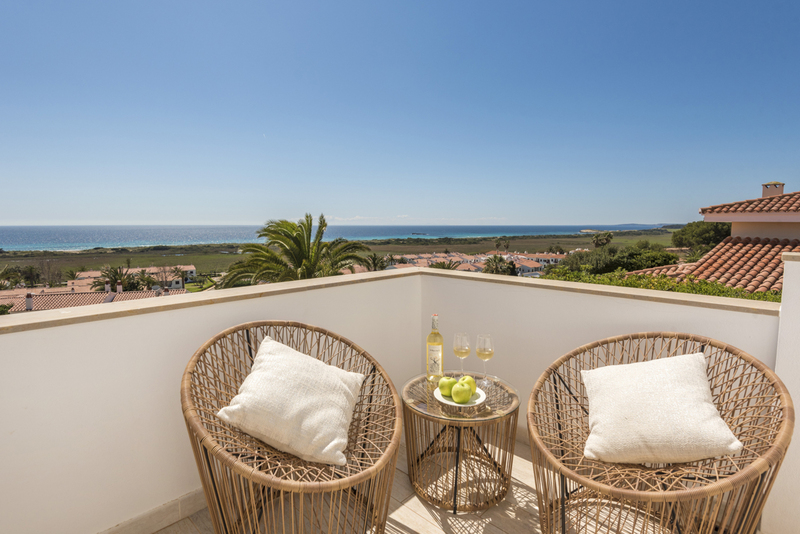 San Jaime Mediterraneo and Son Bou are located on the south coast of Menorca and is in the municipality district of Alaior, being just 8km away. 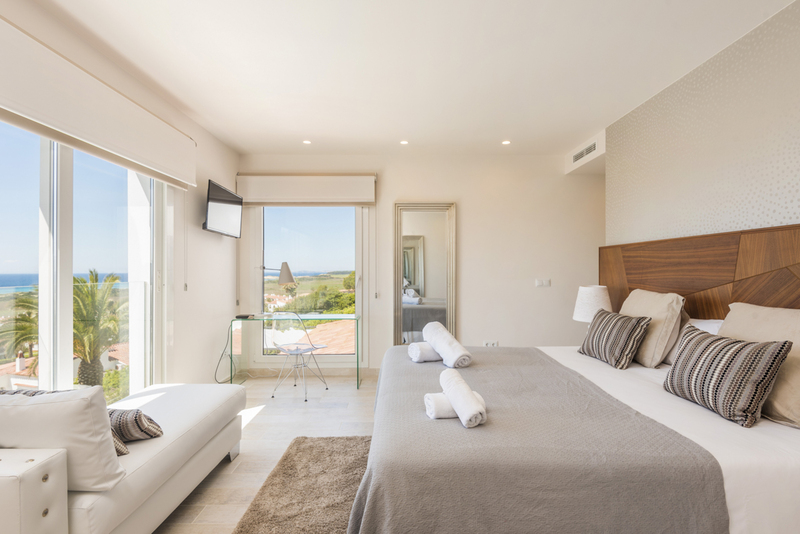 Mahon the capital of Menorca is approximately 20Km away, so a journey from Menorca’s airport should take no longer than 30minutes. 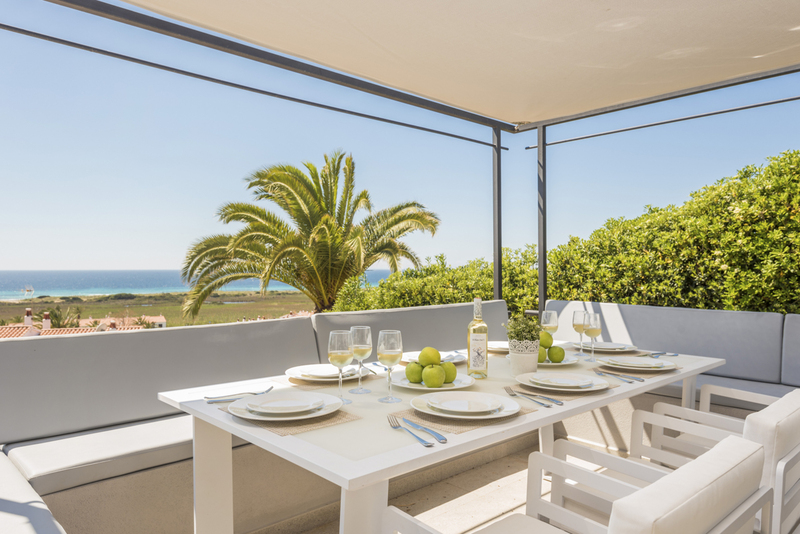 Son Bou has three distinct areas Central Son Bou, San Jaime and Torre Soli Nou. 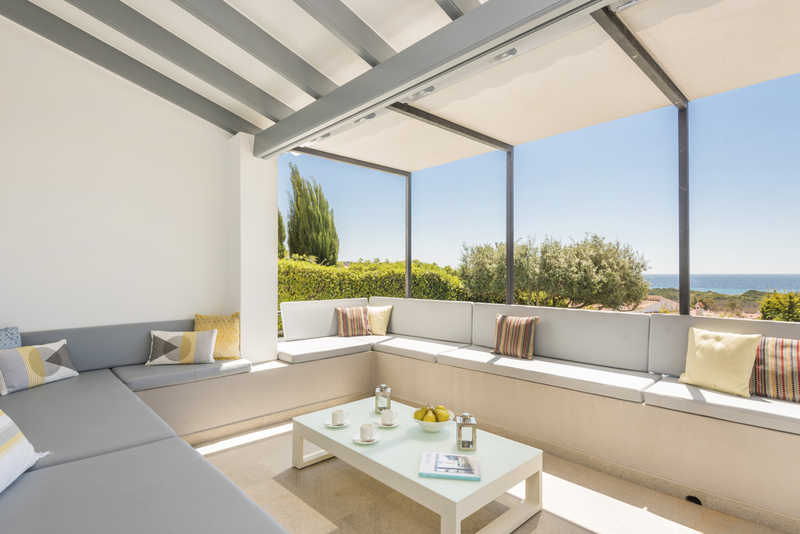 This particular property is situated in San Jaime Mediterraneo.